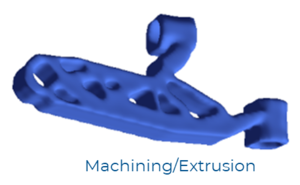 GENERATIVE DESIGN IN SOLIDWORKS WHEN IT MATTERS MOST! ParetoWorks enables better early design concepts in SolidWorks that balance constraints, objectives, product performance, resources, and time constraints. The SolidWorks Design Engineer is empowered to explore more designs in less time thereby reducing time, cost, and rework of design concepts. Each design concept is generated to meet the performance constraints and objectives. Most design concepts can be generated in minutes on an engineer’s workstation or laptop that could be purchased from Best Buy and it is not necessary to transfer your data to the cloud for quick turnaround times. 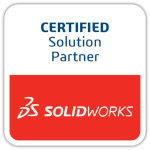 ParetoWorks works inside SolidWorks within your design process with no need to transfer data to the cloud. PARETOWORKS IS AN ADD-IN TO SOLIDWORKS, FOR EARLY STAGE GENERATIVE DESIGN.